2. Treat everyone equally. While this idea may sound good, your employees are not equal. Some are worth more because they produce more results. Some prefer hands-on management, while others would rather take the ball and run with it. The key, then, is not to treat everyone equally—but fairly and with respect. 3. Enforce dumb rules. I don’t mean enforce no rules. I mean don’t enforce dumb rules. Great employees want to have guidelines and direction, but they don’t want to deal with rules that get in the way of doing their jobs or conflict with the company’s stated values. 4. Don’t recognize outstanding performance. Remember Psychology 101: Behavior you want repeated must be recognized and rewarded immediately. 5. Don’t keep your people informed. If you don’t tell them what’s up, the rumor mill will. You have to communicate not only the good but also the bad and the ugly. 6. 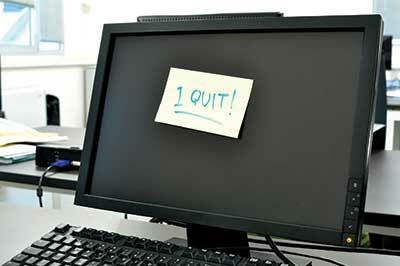 Don’t develop an employee-retention strategy. Employee retention deserves your attention every day. Make a list of the people you don’t want to lose and, next to each name, write down what you’re doing or will do to ensure that person stays engaged and on board. 7. Tolerate mediocrity. A-players don’t want to play with a bunch of C-players and shouldn’t have to. They will come to resent carrying the load for any slackers you keep on the payroll. 8. Don’t do employee-retention interviews. Make sure you don’t wait until a great employee is walking off the job to see what you could have done differently to keep that person on board. Find out before you get to that point. 9. Don’t have any fun at work. Where’s the written rule that says work has to be serious? The notion that work cannot be fun is counterproductive. The workplace should be fun. Find ways to make work and/or the work environment more relaxed and enjoyable, and you will have happy employees who look forward to coming to work each day. 10. Micromanage everything. Don’t squash creativity and innovation by constantly telling employees what to do and exactly how to do it. Tell them why it needs to be done or why their contributions are important. And, above all, ask for input on how things might be done better.